Ladakh – a traveler’s dreamland with massive lakes, high altitude ranges, deep valleys and scenic trails. The ‘land of high passes’ is also known for facilitating the best adventure sports in Leh Ladakh. No other destination comes close to when talking about the thrill and excitement that is on offer at Leh. From mountain biking to trekking and from river rafting to camping, each and everything you’re going to try will give goosebumps. So, before setting out for an enthralling escapade, quickly check out the list of adventure activities Ladakh is famous for! 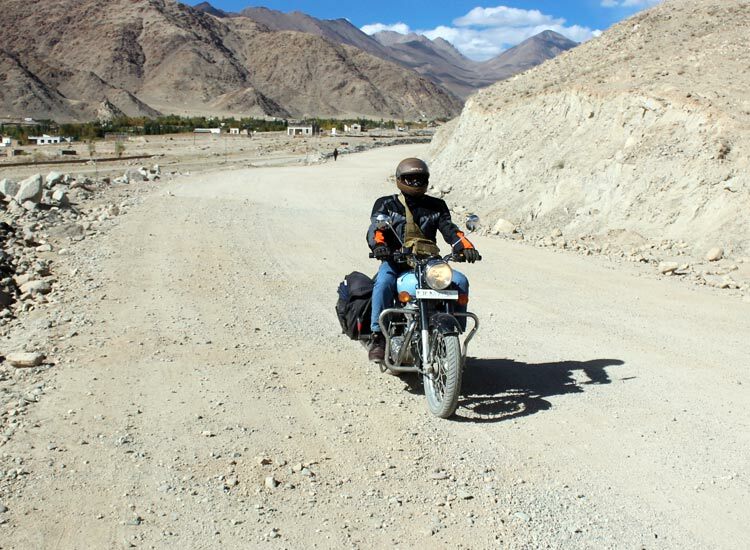 The rugged terrain of Ladakh challenge you to test your Motorbiking Skills. Get bewitched by riding on a scenic trail full of exciting experiences. If the thumping sound of the bikes reverberating in the valley doesn’t evoke the rider in you then nothing else will! Dare to cross some of the highest passes of the world via Motorbiking tour in Ladakh. Kick start your bike and let your wilder side free! Mid-June to Mid-October is the best time for Motorbiking Tour in Ladakh as all the passes remain open during this season. Carry extra woolens and rain covers. Check your bikes and get them serviced well in advance. Carry extra oil and accessories with you. Proper documents and a medical kit is a must. Stay hydrated and keep some extra food all the times with you. There could be nothing better than Trekking for exploring the scenic vistas of Leh Ladakh. Spectacular monasteries, river gorges and lush meadows lead you through a way that you will love to travel for a lifetime. Boast of trekking through a frozen river at the popular Chadar Trek. Suit yourself to choose from a short trek or a longer one. Either way, you can rest assured of the best moments of your life by opting this one of the best adventure sports in Leh Ladakh. While Trekking in Ladakh you will come across the astonishing villages, rare animals and gleaming lakes. June to Mid-October is the best time for Trekking Tour in Ladakh as the scenic vistas can be appreciated during this season. However, January – February is the best time to go for Chadar Trek. Get acclimatize before going on a trek. Wear woolen clothes to bear harsh weather. Keep torches with extra batteries. Wear waterproof shoes with solid grip and sole. Keep things like camphor for inhaling when you run short of breath. 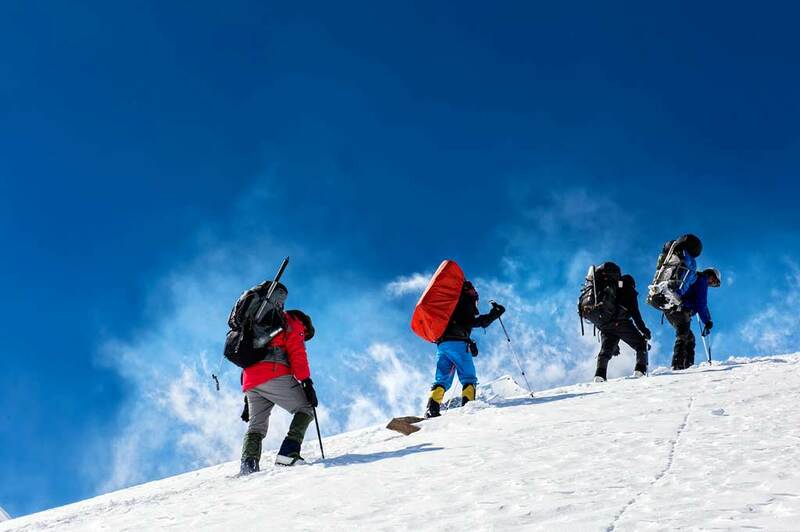 Mountaineering in Ladakh – a mighty bliss for all the adventure aficionados out there! Surmount the imposing snow-cladded giants of Leh Ladakh and feel on the top of the world. Confront with the bone-chilling air and yet manage to make ways to known and unknown peaks. The arid mountain-scape lures many photographers and professional mountaineers. Mountaineering in Ladakh is not only for fun here, but it is also associated with the religious aspect as well. Many monasteries lie on the top and are thronged with lots of devotees. Bask-in the breathtaking views and feel proud of your mountaineering trail. Mid-May to Mid-October is the best time to do Mountaineering as the region remains undisturbed by the monsoon. Prepare yourself for acute mountain sickness. Keep moisturizers and hydrating things handy. Carry harness, ropes and slings with you and check their quality. Keep some extra woolen clothes. You might be requiring goggles, lotions, potions etc. 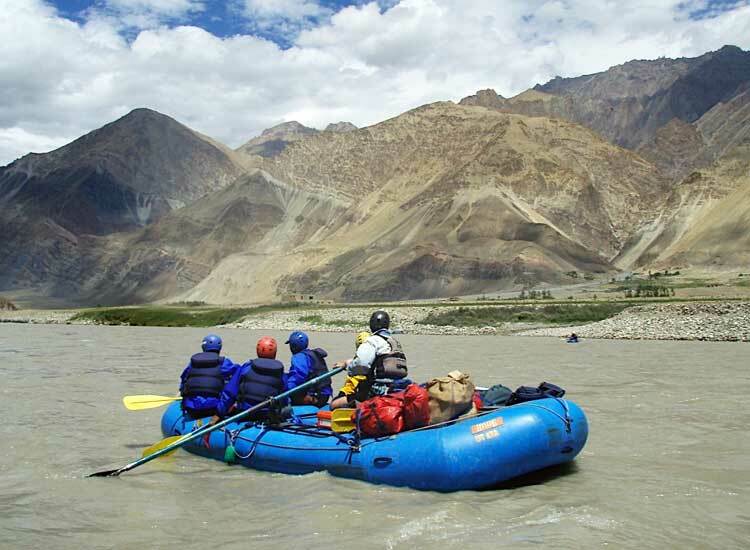 Traverse your Kayak in the perilous water of the Zanskar and feel that adrenaline pump in your veins! Soak-in the beauty of deep valleys, outstanding landscape, hilltop monasteries, towering snow-covered peaks, glimpses of the unique wildlife and hillside hamlets. White water rafting in Ladakh is best adventure sports in Leh Ladakh that swings the mood of the rafters while navigating down the feral Indus River. With river rapids ranging from Grade 1 to Grade 4, the expedition to the ‘land of White Copper’ is simply thrilling. Whether a newbie or a pro, river rafting is a must thing to do in Ladakh. Indus and Zanskar Rivers are the best rivers for river rafting tour in Ladakh. Apart from these, following routes feature exciting river rafting opportunities. Best Time to go for River Rafting in Ladakh ranges from June to August as the water level remains high during these months. Following Tips for River Rafting in Ladakh can aid you while paddling through the gushing water. Select a professional, licensed rafting agent. Even if you know swimming, always wear a life jacket. Follow the instructions of your raft master. Paddle properly and don’t move unnecessarily in the boat. Learn some basic swimming tips before trying hard level rafting. 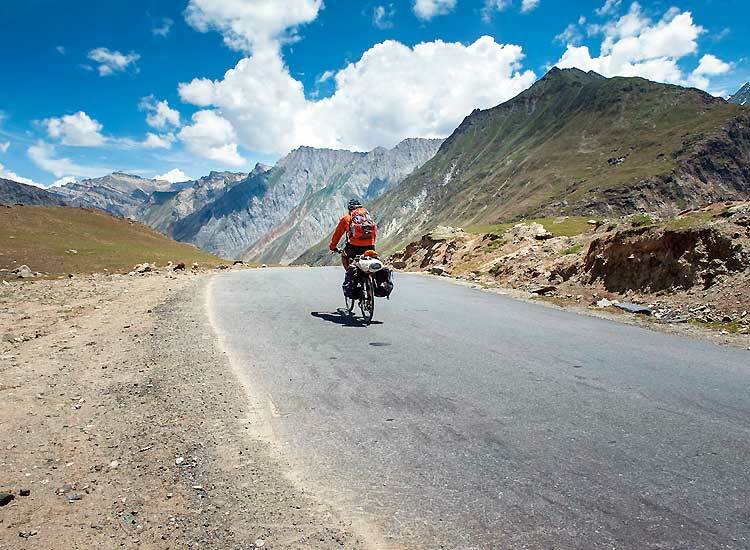 Excited for exploring the one of the highest motorable road, Khardung La on a bicycle? 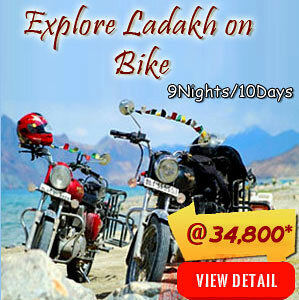 Undoubtedly, mountain biking in Ladakh is not for all those planning for a pleasant holiday with family. This arduous activity is for the daring ones. Although a popular mountain sport yet it can sometimes prove to be an onerous ride even for the champions. Gear through the twists and turns and capture some of the best moments of your life. Amidst the tedious voyage, the amicable local culture comes as a delightful bliss. Cycling through the valleys, markets and villages, halting and conversing with people, savoring the local cuisine in remote areas make your trip last forever! Best time for Mountain Biking in Ladakh is from the end of June to end of August because of the good road conditions during this time. Don’t forget to keep your sunglasses. Keep your speed under control. A thorough inspection of your bicycle is a must before starting the expedition. Keep all your accessories safely. To keep your ears warm wear buffs while cycling. Set your souls free while camping in Ladakh! Whether you are self-camping or are camping at the site, you will be bewitched to the core. Sleeping under the star-lit sky, scenic views, bone-chilling weather and the fluttering sound of tents proffer a memorable night. The adventure activity is nearly equal to self-introspection and mediation. Spending some time alone amidst the awe-inspiring place will make you fall in love with yourself. Be pampered in the lap of nature and end up in a different world altogether by choosing luxury camps by TUTC near Thiksey Monastery. Thinking of the Best Sites for Camping in Ladakh? Read below to know about them. 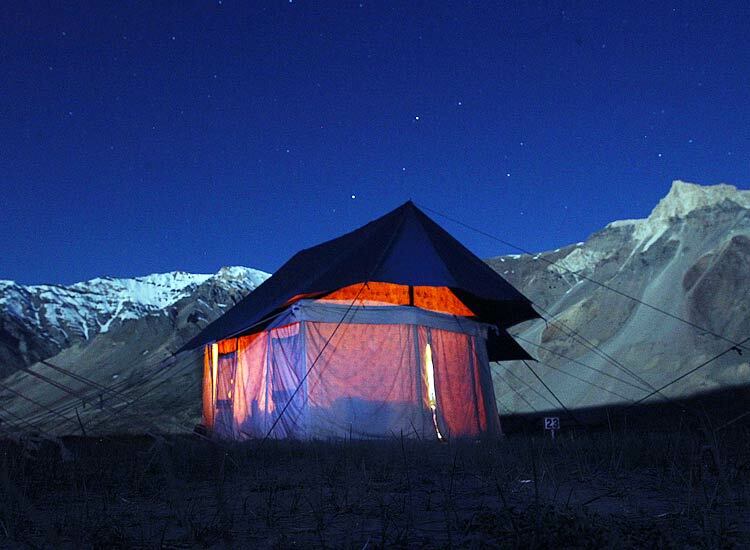 June to August is the best time for Camping Trip to Ladakh as the weather opens up and summer is in full bloom. Mentioned below are the Tips for Camping Tour in Ladakh. Don’t camp at the restricted places. Stay close to the villages or water stream. Jeep Safari is one of the most famous and thrilling adventure activities to do in Ladakh. Counted as the most comfortable, easiest and safest way to explore the area, riding a jeep through rugged places offers a unique thrill. Start each day with a new excitement to celebrate the wildness of the land. The peace and serenity offered by the tranquil mountains are matchless. It is just you, your dear ones, your jeep and infinite vistas that cast a magical spell! July to September is the best time to go for Jeep Safari in Ladakh. Keeping in mind the road conditions, this season is considered appropriate. Choose a vehicle that is suited for rugged terrain. Let an experienced and professional driver drive the jeep. Get extra fuel with you if you’re going by your own vehicle. Check the jeep thoroughly before boarding. Get ready to face high altitude sickness. Camel is usually known as the ‘Ship of the Desert’ but finding a camel in a ‘cold desert’ sounds impossible. What if you have to voyage across the Moon Land and steep mountains on a camel? If a chill ran through your spine bone and you are still determined to try this, then Camel Safari in Ladakh is only for you. 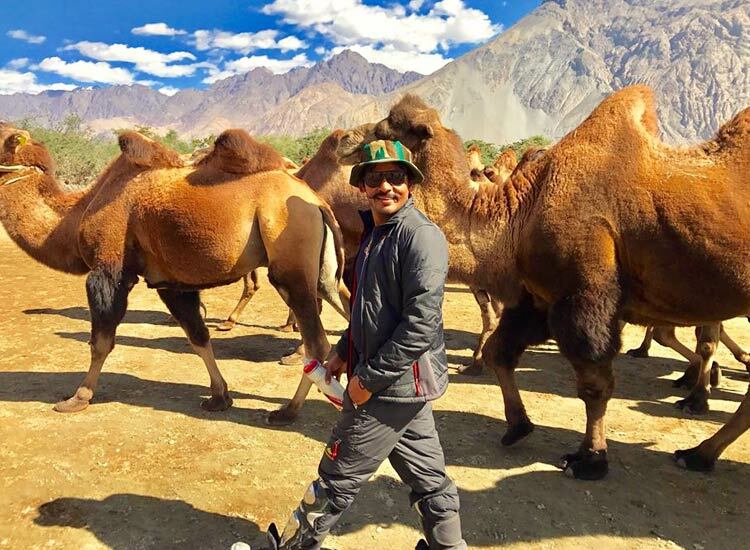 Time to ride the shaggy Bactrian camel, a camel with two humps, which are found only in the Nubra Valley. June to September is the best time to go for Camel Safari in Ladakh because of the pleasant weather. Carry a padded cushion to sit on. Pack sunscreen, goggles and moisturizer. Bring some extra woolen clothes. Grip the reins when camel is moving. 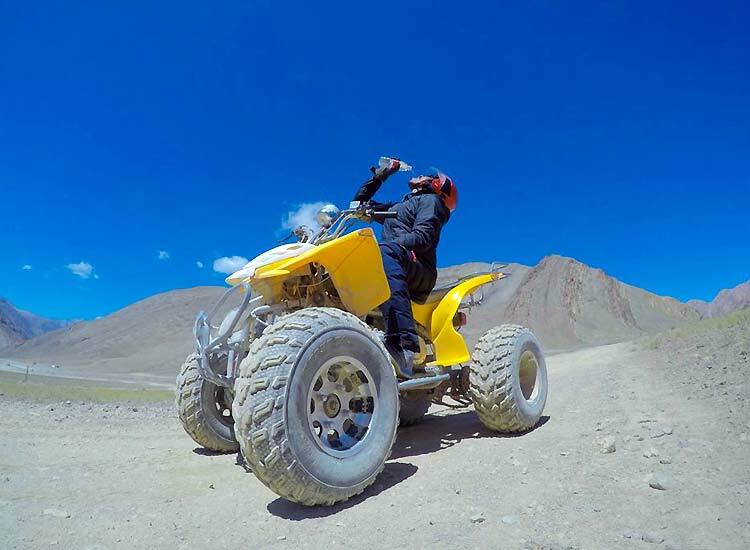 Satiate your adventure lust by enjoying Quad Biking in Ladakh. A matchless experience steering through one of the highest motorable passes in an ATV awaits for you. Admire the mesmerizing beauty en route and sway through the crisscross roads. Riding an ATV can set the spirits high of all the thrill seekers. Quad biking is all about action and burning rubber. If driving is the reason you live for then this adventure activity is for you. Ride the 4X4 beast and conquer the destination. Since summer offers exciting Quad Biking experience in Ladakh, April to Mid-October is the best time to go for Quad Biking in Ladakh. Snow Leopard Trek is the best thing to experience on an adventure trip to Ladakh. No other sports come close to this jaunt. A face-to-face meet with the blue sheep, snow panthers, Tibetan wolves etc. will be imprinted on your mind forever. Take some time out to cherish the old legends of the Rumbak Valley. Titled as the ‘popular winter trek’, the adventure activity commences in an area where human existence vanishes. What accompanies you is a wild stretch of rugged mountain housing varied fauna. Hemis National Park is the destination to participate in this trek. 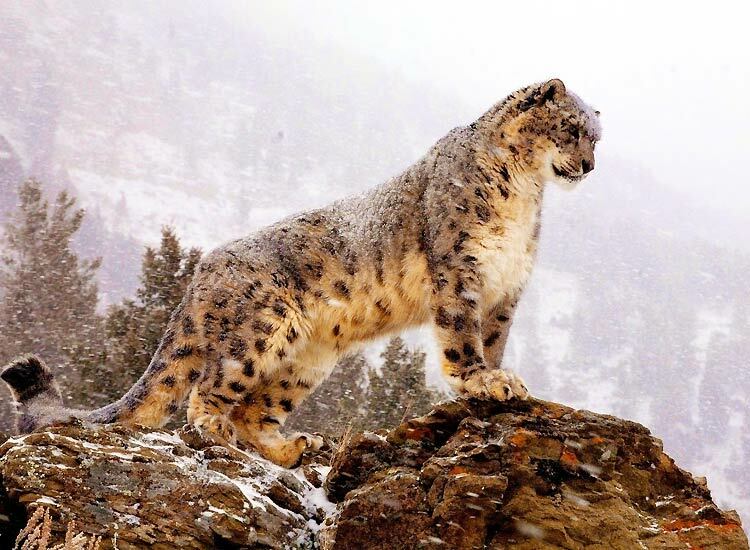 Snow Leopards can be spotted from November to March thus this is the best time to go for Snow Leopard Trek. Tips for Snow Leopard Trek in Ladakh come handy while enjoying this ethereal trek. Beware of the twists to encounter. Make provisions to keep yourself warm by carrying extra woolens. Do not get to close to the wild animals. Carry good trekking or hiking shoes. Pack some dry fruits and dried apricots for you. 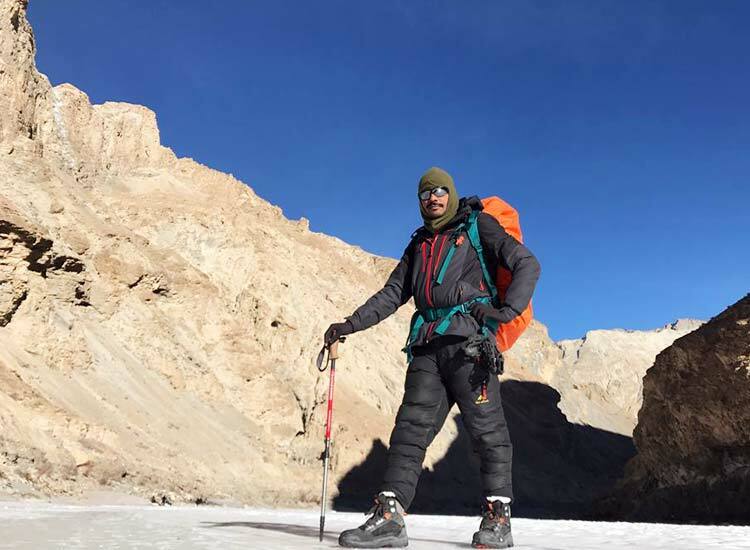 By now, you might have been aware of the tips to follow while involving in some of the best adventure activities in Leh-Ladakh. However, there are some additional tips for travelers, planning a trip to the ‘Land of high Passes’. Acclimatize – Titled as the ‘Rooftop of the country’, Ladakh is known for its chilly weather conditions. Even the summer is cool here! Thus, it becomes very much necessary to acclimatize yourself with the changing climate. People usually suffer from Acute Mountain Sickness. So do take care of it! Permits – Some restricted areas of Ladakh require permits to travel through them for a shorter period. So, make sure that you carry a Ladakh Protected Area Permit if you are a Foreigner and Ladakh Inner Line Permit if you are an Indian or National tourist. Packing – Packing is done depending on the season you’re traveling to Ladakh. However, essential things which are mentioned below are must to carry. Behavior with locals – Ladakh is a home to amicable people. The hospitality offered here is worth all the praises. Thus, be polite with the locals. Try to understand their sentiments. Respect their culture and feelings. And, last but not the least, make the most out of your adventurous trip to Leh Ladakh. 6 comments on "The Best Adventure Sports in Leh Ladakh"
Thanks for the kind words. You can also try these Best Adventure Sports in Leh Ladakh and don’t forget to share your experiences. 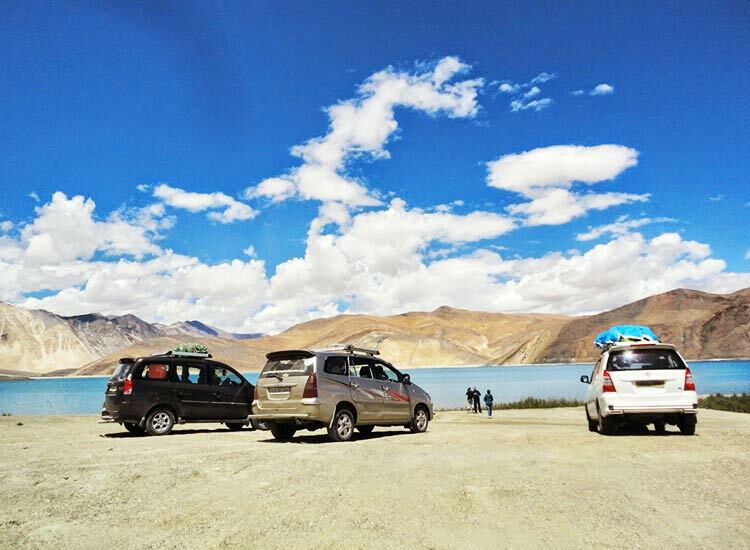 Also, keep following our blogs to know more about Leh-Ladakh. I and my friend were thinking about where to go for holidays. After browsing the internet, we reached on your post where we got to know that Leh-Ladakh is a nice place for adventure sports. Thus, we planned a trip to Leh in Ladakh. This place is really amazing and your blogs images are pretty cool. Thanks for sharing. Thanks for your kind words and I am glad that the post inspired you to plan a trip to Ladakh. Do share more about your experience and keep following our blogs to know more about interesting places to visit. Thanks for your kind words! Keep following our blogs for more such interesting posts.